As she prepares to receive family members on an important anniversary a mother cooks, cleans, and fights with her teen over unresolved differences that left them estranged. The argument reveals some rifts in their relationship and resolves itself in an unexpected and touching climax. A mother and estranged teen revisit issues with each other on a tragic anniversary date. 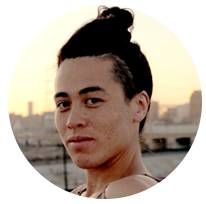 Wu Tsang is a Los Angeles-based filmmaker and artist who was named one of this year’s “25 New Faces of Independent Film” by Filmmaker Magazine. His first featureWILDNESS won the Grand Jury Award for Outstanding Documentary at Outfest 2012 (MoMA Doc Fortnight, SXSW, Hot Docs, SANFIC8 Santiago). His artworks have been presented at the 2012 Whitney Biennial and New Museum Triennial in New York, the ICA Philadelphia, MOCA Los Angeles, and upcoming at the Gwangju (South Korea) and Liverpool (UK) Biennials. He received grants from Good Works, Frameline, Wexner Center for the Arts, IFP Labs, Art Matters, Tiffany Foundation and Andy Warhol Foundation for the Visual Arts. 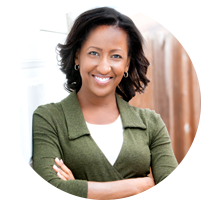 Born in Boston and raised in the US Virgin Islands, Connecticut and New York, Melissa Haizlip attended Yale University. After a 25-year career as a professional Broadway stage performer and film and television actor, Haizlip moved to Los Angeles to work in development at the American Film Institute, and began casting for independent features. She cast the film 40, a multi-storyline, international thriller set in Turkey and Africa, which premiered at Toronto International Film Festival 2010. Currently a fellow in Stanley Nelson’s Firelight Media Producers’ Lab, Haizlip participated in the Producers Guild of America Diversity Workshop 2011. She founded Shoes In The Bed Productions, an independent film production company producing cinematic works of non-fiction with an emphasis on diverse new voices and filmmakers of color. Currently, Haizlip is in production on Mr. SOUL! with several other projects in development. Founded in 1979, the National Black Programming Consortium (NBPC) develops, produces and funds media content about the Black experience for public media outlets, including television, digital radio and online. Since 1991, NBPC has invested more than $10 million dollars in iconic documentary content for public media outlets, including PBS and PBS.org; trained, mentored and supported a diverse array of producers who create content about contemporary black experiences; and emerged as a leader in the evolving next-media landscape. NBPC distributes engaging content online at BlackPublicMedia.org and via broadcast through its AfroPoP: The Ultimate Cultural Exchange documentary series. You're Dead to Me is presented with support from Latino Public Broadcasting.